Food dehydration is among the oldest ways done to preserve fruits, vegetables, and meats. Back then, the Greeks, Chinese, Egyptians, Persians, and Hindus seek the help of the sun to remove moisture from these foods. 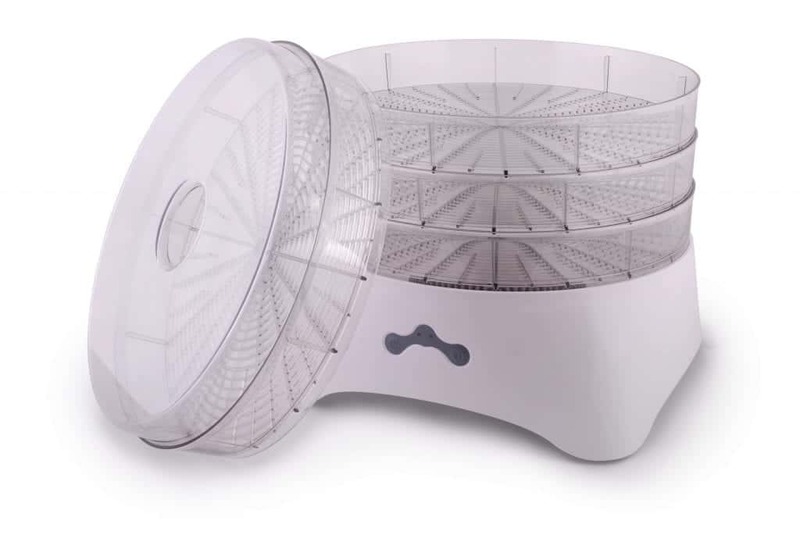 Today, we get to enjoy the convenience that food dehydrators offer. 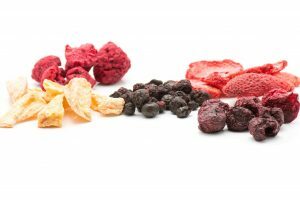 If you are looking for a food dehydrator comparison checklist, we got you covered. 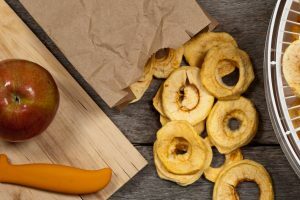 This article is carefully written to educate you about all the things that you would need to consider to find the perfect food dehydrator for your kitchen. But, first, allow us to give you a rough idea how the process of dehydrating food works. In food preservation, dehydration pertains to the method of extracting moisture from different kinds of food in order to hinder the growth of microorganisms. The lack of moisture in food results in its preservation for indefinite periods of time. 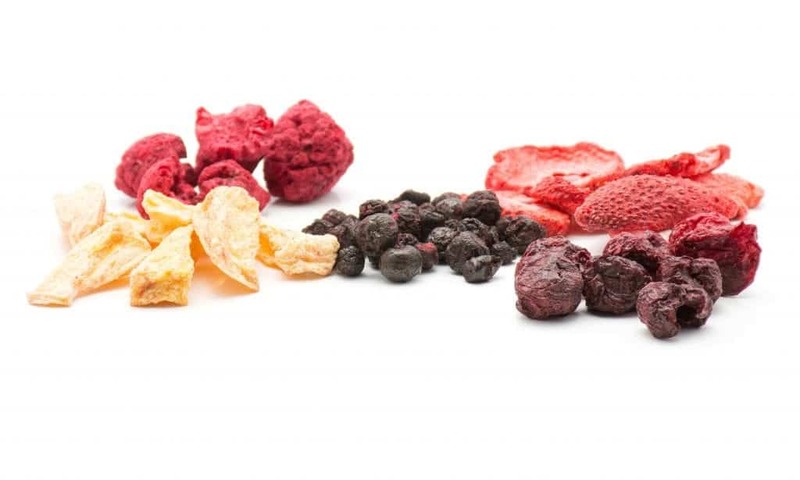 The first-ever method used to dehydrate food is through sun-drying. However, this posed a problem as it can only be done successfully during a rainless season. The need to be able to preserve food throughout the year gave birth to the invention of food dehydrators. This device allows you to control air circulation and heat in the comfort of your own home. Food dehydration provides a lot of benefits, which is why a lot of people from all over the world has been doing this since the biblical times. It makes it possible to transport food from one place to another with ease because dried food takes up very little space. It also does not require refrigeration, which is perfect for those trying to lessen their electricity consumption. 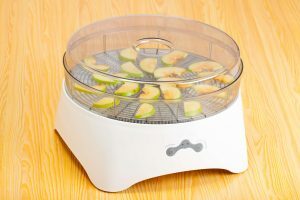 A food dehydrator is a commercially produced device that is used in food preservation. Every single food dehydrator is consists of a heating element, fan, air vents, and several food trays. These basic parts all work simultaneously to remove moisture from food, inhibit bacteria from growing, and prevent the food from getting spoiled. 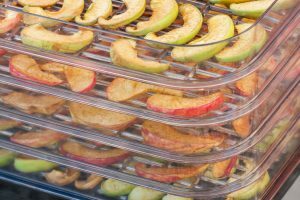 Basically, there are two types of food dehydrators that are available on the market today: a stacking dehydrator and a shelf dehydrator. A stacking dehydrator has several snugly stacked food trays on top of each other. These trays have holes at the center that allow heated air to pass through. Shelf dehydrators, on the other hand, have food trays that are positioned much like shelves, where each one can be pulled out independently without having to compromise the other trays. The fan is located at the back of the unit, simultaneously and evenly sending heater air to the trays. As was mentioned above, you would need to determine which type of food dehydrator works best for your needs. 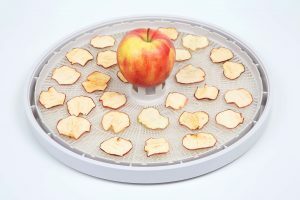 Both these dehydrators offer their own list of advantages and disadvantages. With most stackable food dehydrators, the heat source is typically located at the top or bottom of the unit. This results in an uneven heat and air flow. Consequently, there are times that some trays have over dried food while others are under dried. This problem can be solved if you invest in a good quality stackable food dehydrator. For a more even heat and airflow, go for a shelf dehydrator. In this model, the fan is mounted at the back of the unit. This design allows for heated air to flow horizontally across all the food trays evenly and simultaneously. Another factor to take into account is the ease of access to each of the food trays. 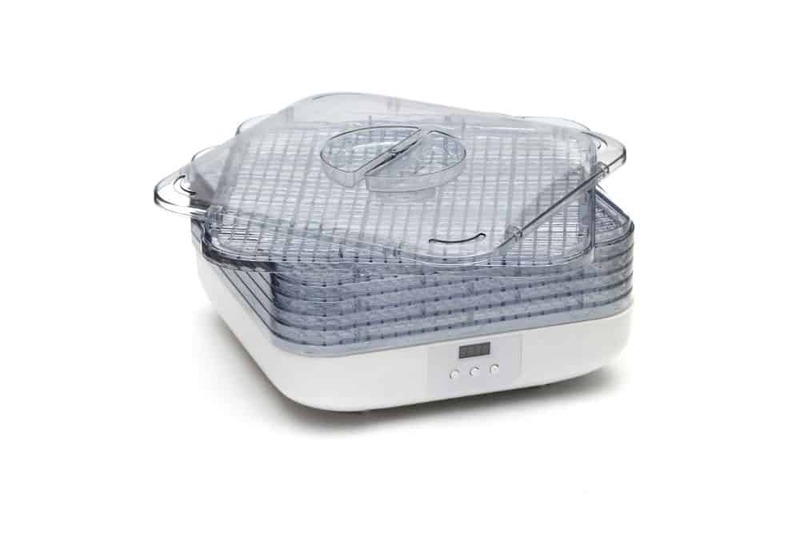 If you choose to buy a stackable food dehydrator, you would need to remove all the trays above if you want access to the lower trays. However, with shelf food dehydrators, it is easier to set up, check on, and remove trays from the unit without having to move the others. Depending on the amount of food you will be drying, you also need to take into consideration the size of the food dehydrator you wish to purchase. 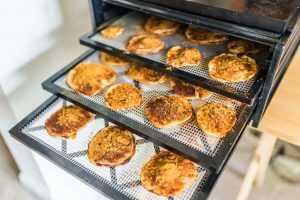 Some may think that the bigger the device is, the better; well, this is not always the case when it comes to food dehydrators. You would have to make sure that you won’t be buying more than what you only need. When it comes to any equipment, all of us wants to be able to invest in one that is as versatile as possible. Shelf dehydrators can be used to dry food of all sizes because you can just simply remove some trays in order to accommodate “tall” food. However, stackable dehydrators boast a feature that cannot be found in its counterpart—expandability. 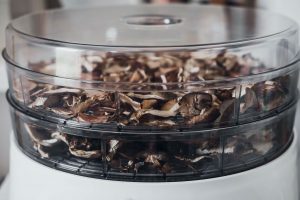 With stackable dehydrator models, you can dry significant amounts of food at the same time by adding more trays to the stack and increasing its capacity. Most units come with four to 10 trays and can be expanded by adding up to twice the number of trays it originally came with. Food dehydration takes a long time, sometimes taking as long as four to six hours to finish one batch. Different kinds of food also require different drying times. This is the reason why you need to check the electricity consumption of the equipment you are buying. Similar to energy consumption, drying different kinds of food also requires different temperature settings. 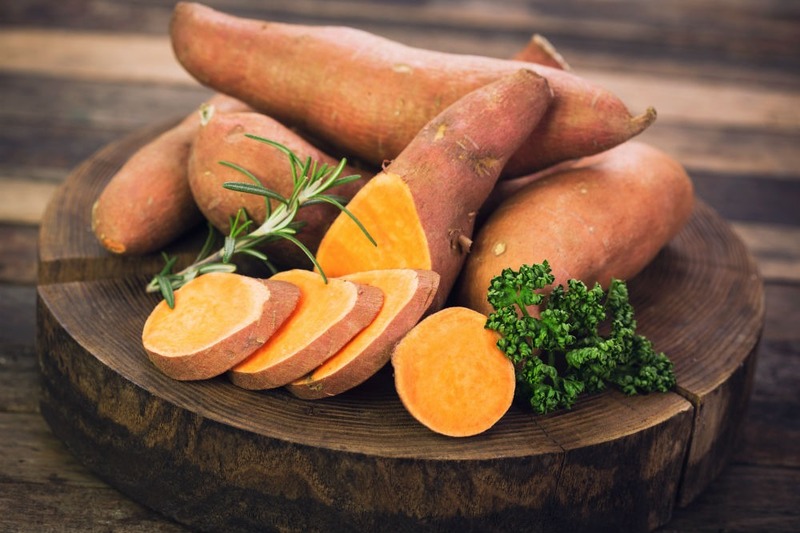 Before buying a food dehydrator, keep in mind the types of food that you wish to preserve and research about the temperature setting it requires for optimal drying. Most models of food dehydrators are made of stainless steel, yet there are also some that are plastic-made. In order to ensure that the one you are buying is durable and safe, check if it is approved by the Food and Drug Administration. 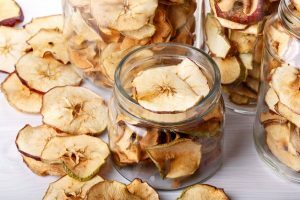 When it comes to buying a food dehydrator, there are a lot of things to consider in order to ensure that you are choosing the best product for your needs. 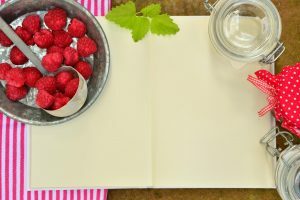 This is the reason why it is essential to come up with a food dehydrator comparison checklist that is tailored to all of your personal needs and preferences.